These features will surely make your life bit easy. One of the most popular messaging applications, Whatsapp is used by over one billion users. The mind-blowing features of Whatsapp have made a lot of things easier for people and one can use it for different purposes. However, there are few hidden features of Whatsapp which will surely make your life bit easier. Today we decided to share those few hidden features of Whatsapp with you. 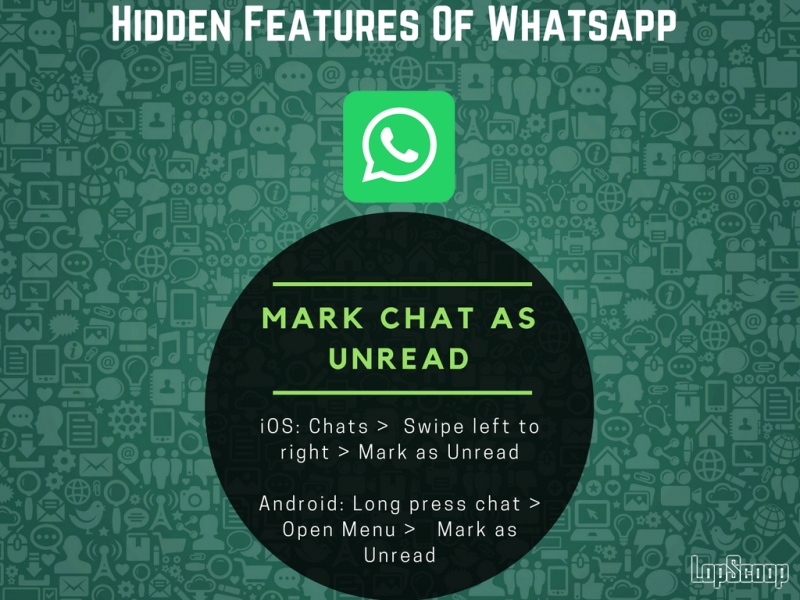 Here is the list of 5 lesser known features of Whatsapp you need to know. If you are busy and don’t want to miss an important message then you can use this feature which allows you to mark a chat as unread. At times you also get into some conversation which needs to be saved. 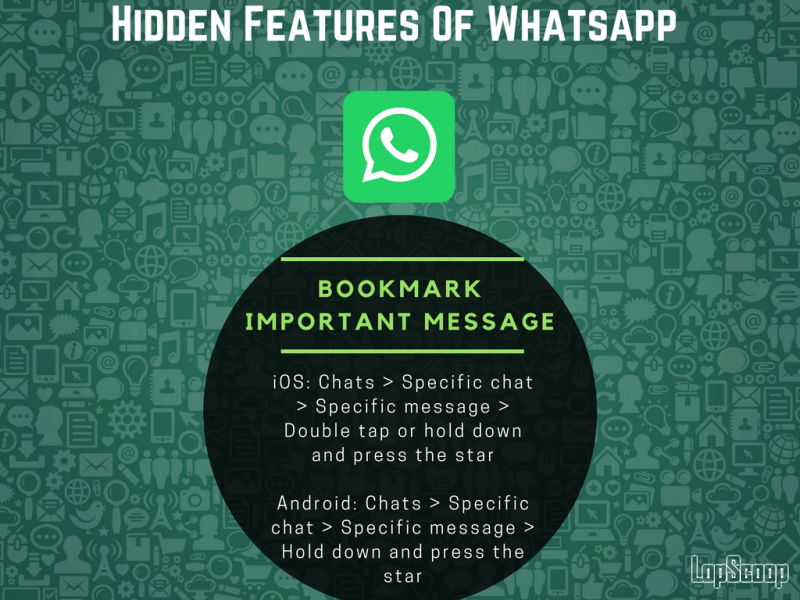 For that WhatsApp allows you bookmark those messages. You can check the message in Starred Message Section. If you are a kind of a person who prefers to wish list of friends on different occasion like Holi or Diwali then you can save a lot of time by using the Broadcast feature which allows you to send a message by creating a broadcast list. If you are pissed off because your Data is consumed by those videos/photos from family or friends group then use the feature data and storage usage. To make your chart more interesting while wishing your near and dear ones, use the features that turn words bold, italic or strikethrough. 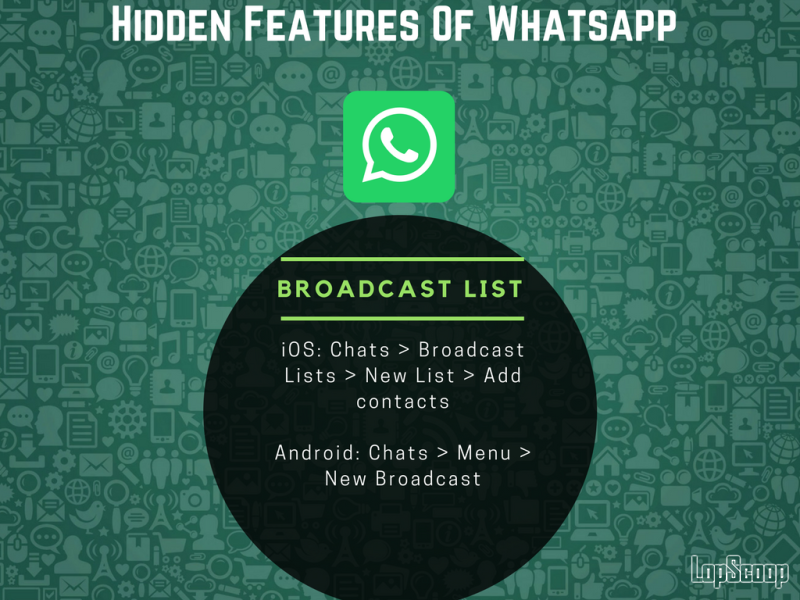 Like, comment and share these useful Whatsapp features with your freinds and family.